Your website is your online corporate identity, which is how your clients perceive, recognize and remember you. It’s undeniable that the visual aesthetics and the content structure of a website are critical factors that decide how long a visitor will stay. A clean, sophisticated and unique design also influences visitors’ perception of trust and confidence in your brand and help set yourself apart from your competitors. Our designs are ensured to be consistent in look & feel, and completely in line with your brand image & corporate identity. Since no business is the same, no design should be either! Our top team of web developers and website designers based in Vietnam can help your grow your online presence and get your business seen in your area of business in Vietnam. 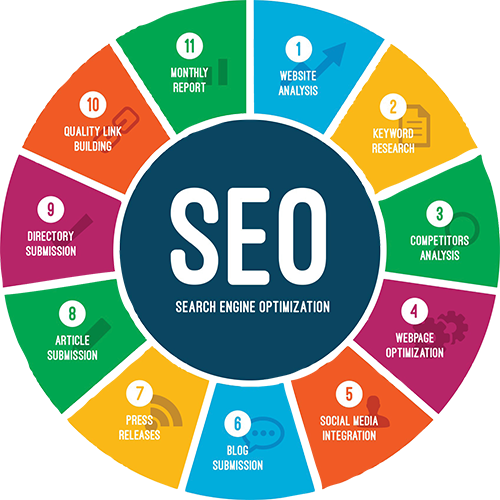 Developing a long-term and reliable SEO strategy that will flourish and live a longer life, while ensuring your customers stay with you and tell the world the tales of your business’s awesomeness transforming our custom-made business strategies into real time success.